The Main Line native discusses his shockingly unconventional path. The golden hair has thinned and those vivid blue eyes have dimmed a shade or two, but it’s hard to imagine anything could happen to John Hoyt’s jawline, made up of two I-beams connected at the chin by a ball-peen hammer’s divot. Sitting at the bar at Casey’s Pour House in Berwyn on a frosty afternoon before New Year’s, watching meaningless college football bowl games and enjoying a few beers, Hoyt looks like he could easily jet to Milan, stride into a studio and command the lens, just as he did 25 years ago. Back then, Hoyt claimed the title of “First Male Supermodel” under the name Hoyt Richards (his middle name is Richards). He did things like serve as the delighted sandwich meat between Christy Turlington and Naomi Campbell on the New York party scene. But Hoyt doesn’t do that anymore. He’s more interested in filmmaking and the occasional acting gig. More than anything else, though, he wants to use his art to help others who’ve endured what he has—and tell the world that, just because you spend almost 20 years in a cult and bestow $4.5 million of your earnings upon its membership, you aren’t some simple-minded person capable of being brainwashed by anyone with a Manhattan apartment and a wild story about intergalactic reincarnation. “I’ll never be boring at cocktail parties,” says Hoyt with a laugh. You want stories? Hoyt has them. Some are incredible, like how a kid from Princeton turned down an offer—and a fat payday—to fly to Europe for a photo shoot because he had an econ exam that day. But not all of them are upbeat—like the mental image of Hoyt having his head shaved by angry Eternal Values cult members tired of his preferred status. A bit more amusing, perhaps, is how Fabio helped him escape. It’s tough to listen as Hoyt talks about recovering some sanity and esteem after being berated for hours by EV acolytes about his unworthiness. He speaks willingly about his time in Eternal Values, his struggle to regain his life after leaving, and how important it is for him now to help others heal from similar experiences. Hoyt’s smile is ready, and his wit is more than just a defense mechanism. He’s reached a point in his life where his time in Eternal Values no longer defines him. He may look pretty much the same on the outside, but Hoyt has changed on the inside. That’s the story now. Hoyt is working on a documentary about the ordeal, plus a book he’s writing with a former EV member. Hoyt once looked at Eternal Values founder Frederick von Mierers as a spiritual talisman of sorts, capable of opening fascinating worlds to a young man whose life to that point had been pretty much out of the “Preppy Handbook.” He wasn’t stupid—Hoyt holds diplomas from the Haverford School and Princeton—but he was vulnerable. As a result, what started as fun and games became a sad story of manipulation, humiliation and regret. Hoyt’s school situation may not have been his ideal, but his summers were idyllic. His family spent long stretches in Nantucket, where he would join siblings, cousins and friends in typical seaside adventures at Nobadeer Beach. “We called it ‘No Brassiere Beach,’” Hoyt says. It was there, when he was 16, that Hoyt first encountered Frederick von Mierers. “Nantucket is not where you think you’re going to meet a cult leader,” Hoyt says. Von Mierers was a charismatic type, with blond hair and striking good looks. He spoke about ancient cultures and astrology, topics that interested Hoyt and ones he didn’t generally discuss with those close to him. Hoyt and his friends attended von Mierers’ parties, looking to get free beer. “I thought I was working him and taking advantage of him,” says Hoyt, not understanding at the time that von Mierers was actually working him. About those “shared” spiritual values: Von Mierers said he was from the star Arcturus, which is in the constellation Boötes and is located 36.7 light-years from the sun. According to the cult leader, Arcturus is the “spiritual center of the universe,” and it was there that the members of Eternal Values—in a previous incarnation—had gained the necessary knowledge to save planet Earth from the coming apocalypse. As Hoyt heard more about Arcturus and met those who’d come back from the star, he felt a desire to join them in their quest to preserve the planet. For almost seven years, von Mierers had given Hoyt the soft sell, enticing him with parties, lodging and friendship. In 1985, having just graduated from Princeton and at the genesis of what would become a remarkably successful modeling career, Hoyt was ready for more. 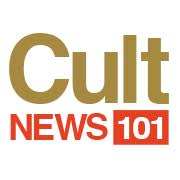 As Hoyt has learned more about the psychology of cults, he has come to understand that their main manipulative tool is eroding people’s ability to think critically. Once the information is introduced, “recruits” become intent on learning more. After a period of indoctrination, any instinct to question the story or those telling it is looked at as a lack of faith and a stepping away from the group that has become their primary social network. The rest of the Hoyts didn’t see too much of John, either. By that time, he’d become Hoyt Richards, the star of the Ford Modeling Agency and a sensation in fashion capitals across the globe. His family referred to the other members of Eternal Values as Hoyt’s “friends from New York,” but didn’t look at EV as a cult. Just as Hoyt was dissociating himself from his friends, he wasn’t visiting his family. Part of it was the job. Hoyt was spending time all over the place, filming commercials, doing photo shoots, and enjoying the spotlight. But when he wasn’t working, he was with von Mierers and the other cult members. They shaved his head so he couldn’t model and made him perform demeaning household chores. “My nickname was Dipshit,” Hoyt recalls. When the members were in better moods, they’d call him “Dippy.” But those moments weren’t too common. After nine weeks of this treatment, Hoyt came to the conclusion that the hazing wasn’t going to end. Instead of being angry at his fellow cult members, he felt shame, believing he was unworthy of them and that his leaving would allow them to move forward. It took three tries, but he finally escaped. He was bald, with two or three thousand dollars on a credit card and nowhere to go. Then he remembered that his buddy Fabio had said he could crash with him anytime he wanted. So, he went west. “It was the perfect place for me to decompress and go through the post-traumatic stress phase,” Hoyt says. The healing had begun. But it wouldn’t be easy. Combine John Hoyt’s Princeton degree and Kim Wong Keltner’s graduation from Cal-Berkeley in three-and-a-half years, and you have two pretty smart people. So how in the world did they both end up in a cult? That’s the question Keltner is trying to answer as she works with Hoyt on a book about their Eternal Values experiences. Keltner met von Mierers in the mid-1980s, when she was a high school freshman, and spent a good amount of time in Manhattan with the Eternal Values group—though she told her parents she was visiting friends in Lake Tahoe. A student at an exclusive prep school in Northern California, Keltner was dealing with the expectations of her extremely demanding “tiger mom,” for whom any grade less than an A was not tolerated. “An A-minus is the Chinese F,” says Keltner, an accomplished author whose most recent book, Tiger Babies Strike Back, is a response to the strict parenting of Chinese-American tiger moms. Festival in September, and then Toronto. His production company, Tortoise Entertainment, has had some movies make it to festivals before. Ultimately, he hopes to see the final product on HBO or as a Netflix Original. It’s all part of his healing process. Hoyt says he’s become “fascinated with telling stories,” but he doesn’t limit his work to being behind the camera. He coaches actors and writers and also does some acting of his own. Mostly, he’s looking to live a happy and full life in West Hollywood. The most important work Hoyt has done in his recovery is with his family. After the intervention attempt, Hoyt “hated” Rory and didn’t want to have any contact with him. Once he left Eternal Values, he went about the business of rebuilding his relationships with all involved. In 2003, Hoyt spent several months caring for his mother, who was dying of cancer. He has since become close again with Rory, who describes Hoyt as “the fun uncle” to his four children. He spends summers on Nantucket with his family and enjoys being part of their lives. “After I got out of Eternal Values, I developed such a love and admiration for Rory, because he was willing to [attempt the intervention],” Hoyt says. The time is right for Hoyt to tell his story. He might still look a lot like he did at his modeling peak, but inside he’s so much more. Obituary: Arthur Alexander Dole, Jr.